One of my priorities when it comes to real food is that it be easy, delicious and nutritious. There aren’t a whole lot of kitchen tools that can do all this at once, but the slow cooker somehow manages (the Instant Pot is also at the top of my list). If there’s one thing I appreciate, it’s a good slow cooker recipe. 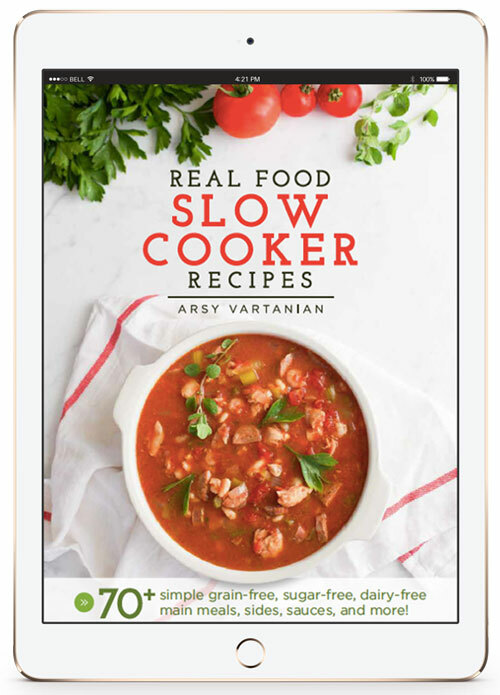 And that’s why I’m so excited that I get to share a recipe from Real Food Slow Cooker Recipes, a new ebook out from my dear friend Arsy Vartanian, who blogs over at Rubies & Radishes. Real Food Slow Cooker Recipes is full of practical, flavorful recipes that are perfect for the busy home cook. You won’t be spending all day in the kitchen, but you’ll end up with a meal that looks and tastes like you did. 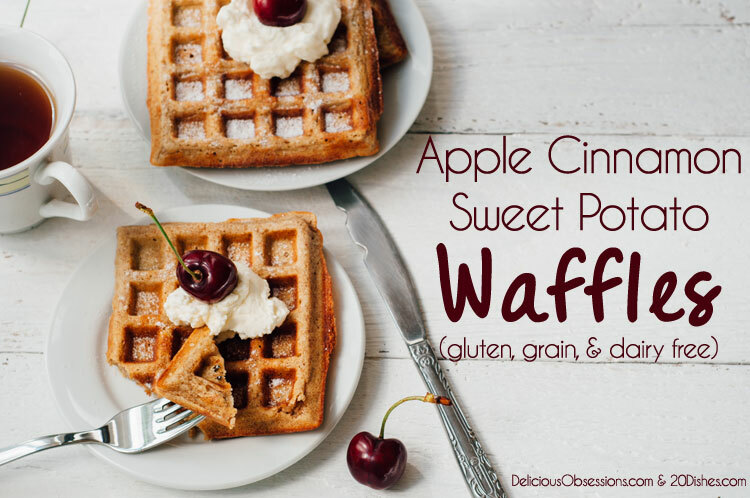 All of the recipes are strictly paleo, with no grains, gluten, dairy, legumes, added sugars, processed ingredients, etc. 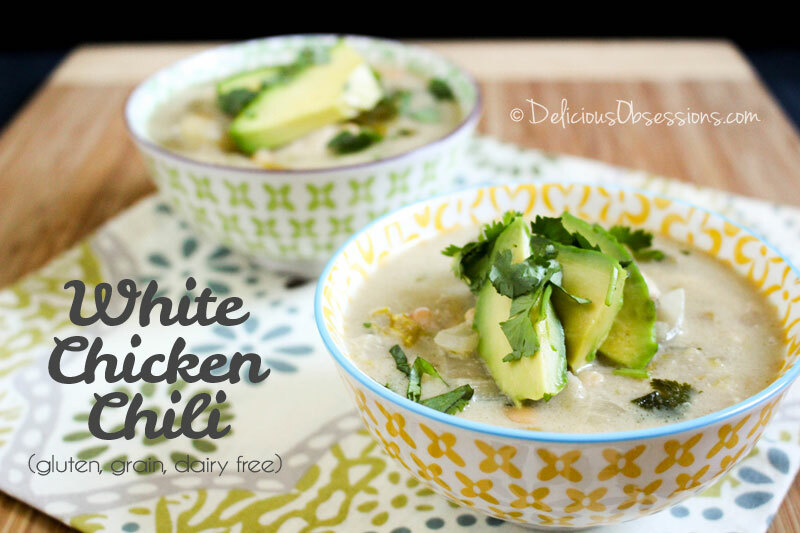 And, as an added bonus, all the the recipe are Whole30® compliant! 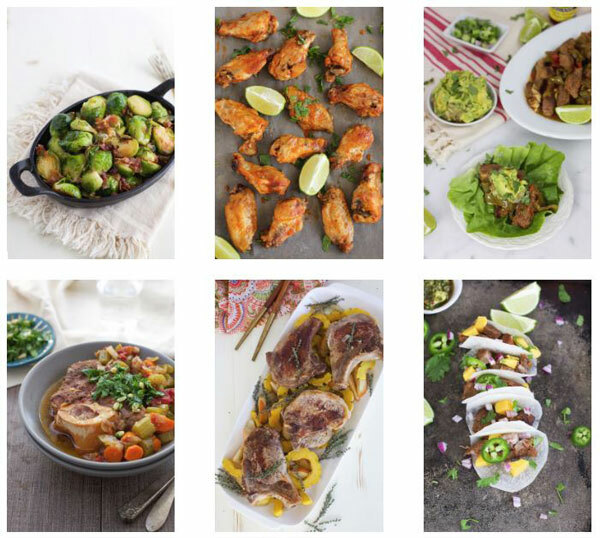 Here’s a sneak peek at just a few of the AMAZING recipes in this eBook! Whether you are short on time, running low on inspiration, struggling to enjoy a clean eating diet, or just ready for a change, Real Food Slow Cooker Recipes was written for you. Nourishing the body and mind is important, but so is having the time to enjoy the rest of life. Now, with Real Food Slow Cooker Recipes you can do it all: Have fun, eat well, work hard, and play often. I know SO many people who are getting ready to start the Whole30® in January to kick off the new year. This eBook would be a great addition to your arsenal as you go through that program. So, we have great news for Delicious Obsession readers! Use the code DELICIOUS30 for 30% off the ebook! 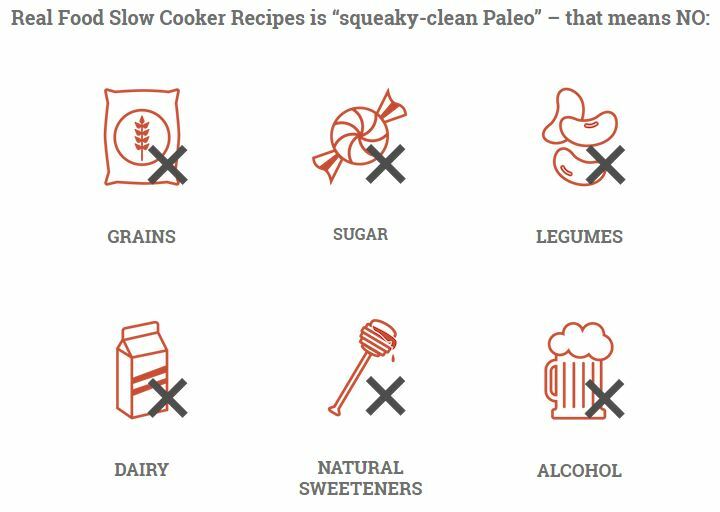 You’ll get more than 70 tasty recipes, all strictly paleo (no grain, sugar, legumes, natural sweeteners , dairy or alcohol in sight). 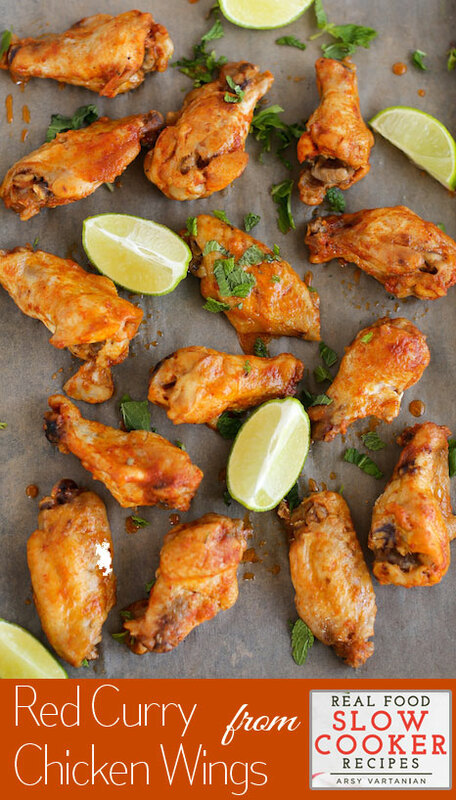 The recipe I’m sharing with you today is one of my favorites – Red Curry Chicken Wings! These are the perfect Game Day snack, or if you need something more filling for a crowd. Just spicy enough for a memorable kick, but not enough to mask the flavors. Time to break out the slow cooker! If you’re in need of a slow cooker, I have two words for you: The Instant Pot. It’s more than just a pressure cooker. It also has a slow cooker feature. The reason I am recommending this instead of traditional slow cookers is because so many of the slow cookers on the market seem to be having reports of lead contamination. Plus, I don’t know about you, but kitchen storage space is at a premium in my house, so I like not having to keep multiple appliances around. If you really want a new slow cooker, I have seen some trustworthy bloggers mention that this Hamilton Beach Set ‘n Forget Programmable Slow Cooker does not test positive for lead. I personally haven’t used this specific cooker, but wanted to share just in case. Combine coconut milk, fish sauce and curry paste. Add wings to the slow cooker and pour the curry sauce over them. Cover and cook on low for 4 hours. (note from Jessica: you can also do this using the slow cooker feature in your Instant Pot). Using a slotted spoon, remove chicken from the slow cooker and set aside. Place remaining sauce in a medium saucepan. In a separate bowl, make a slurry with arrowroot and water. Add the slurry to the sauce. Bring the sauce to a boil and simmer until sauce has thickened, 10­15 minutes. Toss the wings with the thickened sauce. Place wing pieces in a single layer on a broiler pan. Broil 4 to 5 inches from the heat until chicken is browned, turning once. Sprinkle with shredded basil and serve with fresh limes.